Storage Made Easy (SME) has announced that they have released a Slack Application for integration with the File Fabric Slack. This new integration allows users to set security controls on how long a file can be shared for, the number of times the file can be accessed, and adds encryption and/or password protection to access the file. Slack is a cloud-based collaboration tool that connects teams, providing a single place for messaging, tools and files. Users of the privately hosted, or on-cloud, versions of the SME File Fabric, can now take advantage of the Slack integration for ultra-secure file sharing with team members. 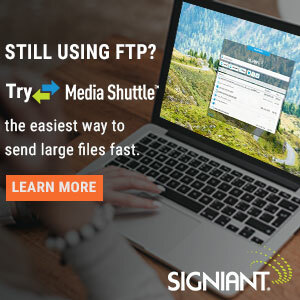 The File Fabric supports over 60 storage connectors enabling shared file access with Slack from WebDav and Windows Filers, in addition to Cloud solutions such as Amazon S3, Microsoft Azure Storage, Google Cloud Storage, IBM COS, Cloudian, OpenStack Swift, SFTP, FTP, and many more. Customers use the Storage Made Easy Enterprise File Fabric to unify corporate data islands and provide a ‘single pane of glass’ for security, encryption, audit, data discovery and content search.